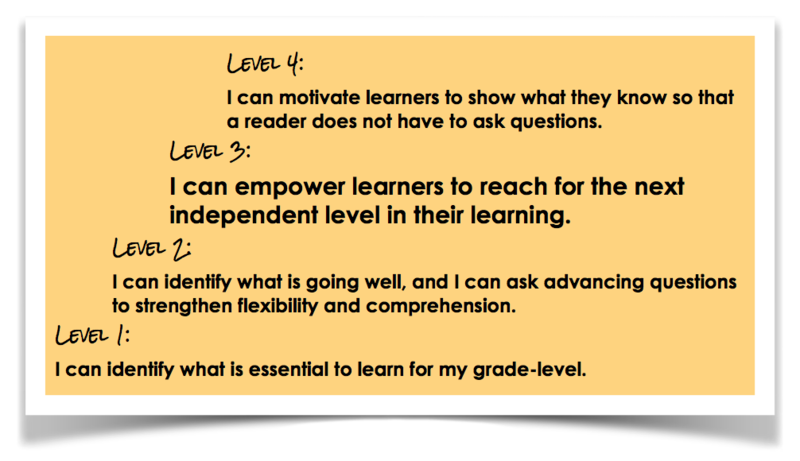 I can empower learners to reach for the next independent level in their learning. her mother. How much money does Natasha have left? and now he has 312 stickers. How many did he buy? What structure or repeated reasoning do you see? What assessing or advancing question should you ask? Andreae, Giles, and Guy Parker-Rees. Giraffes Can’t Dance. New York: Scholastic, 2016. Print. Carpenter, Thomas P., Elizabeth Fennema, Megan Loef. Franke, Linda Levi, and Susan B. Empson. Children’s Mathematics: Cognitively Guided Instruction. Portsmouth, NH: Heinemann, 2015. Print. Fosnot, Catherine Twomey. Conferring with Young Mathematicians at Work: Making Moments Matter. New London, CT: New Perspectives on Learning, LLC, 2016. Print. McCallum, William. “Number & Operations in Base Ten.” Number & Operations in Base Ten | Common Core State Standards Initiative. N.p., n.d. Web. 01 June 2017.
show what I know in more than one way. without having to ask me questions. I can show what I know in more than one way. For our colleagues not able to join us, we will share our plans each day next week.